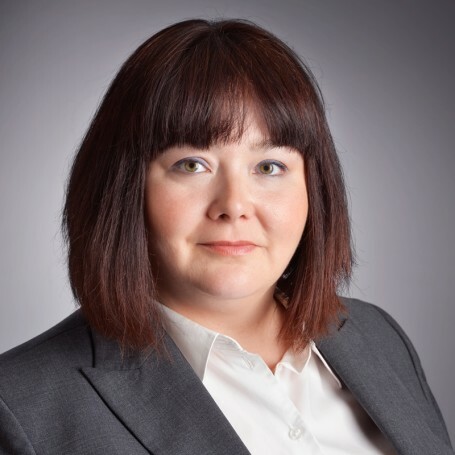 Dana Nowak practises civil litigation with a focus on commercial bankruptcy and insolvency, personal property security law, construction law, suretyship, and real property disputes. Dana has represented clients before the Alberta Provincial Court, the Alberta Court of Queen’s Bench, the Court of Appeal of Alberta, Saskatchewan Court of Queen’s Bench, the Yukon Supreme Court and the Yukon Court of Appeal. “Annual Cross-Canada Update”, Canadian Bar Association National Insolvency Conference, co-presenter (September, 2017). “Managing Difficult Players”, Annual CAIRP Forum, co-presenter (May, 2017). “High Income Tax Debtors in Bankruptcy”, Edmonton CPA Club, presenter (September, 2016). “La négociation des créances fiscales: un art”, Conférence Annuelle de L’ACPIR, co-présentatrice (août, 2016). “Builders’ Liens and Surety Bonding as Options to Secure Payment from Insolvent General Contractors”, Edmonton Construction Association, presenter (May, 2015). “Bankruptcy Discharge Applications”, University of Alberta, Faculty of Law, Bankruptcy Law Class Seminar, co-presenter (October, 2015). “Risk Allocation in Construction Contracts”, Alberta Colleges Symposium 2015, co-presenter (October, 2015). “Advocacy in the Insolvency Context”, University of Alberta, Faculty of Law, bankruptcy and insolvency class, guest lecturer (October, 2015). “Surety Bonds”, Canadian Bar Association, Alberta North Construction Law Subsection (January, 2015). “Director’s Liability”, University of Alberta, Faculty of Law, bankruptcy and insolvency class, guest lecturer (March, 2015). “The Laws of Competitive Bidding”, Edmonton Construction Association (October, 2014). “Builders’ Liens and Surety Bonding as Options to Secure Payment from Insolvent General Contractors”, Saving Companies from Distress (Edmonton Construction Association, 2014). “Mid-Market Technical Update”, Insolvency and Restructuring Forum (Canadian Association of Insolvency and Restructuring Professionals, 2013). “A Review of Landlord Issues, Rights, Remedies, and Best Practices in Managing Issues Related to Tenant Insolvency”, co-author and presenter, BOMA Legal Series (2011; 2012; 2013). “Landlord Rights on Tenant Default”, BOMA Legal Series (2012; 2013). “Recruiting Foreign Students: Risks and Implications”, co-author, CASS Connection 2009.